Any time a person is convicted of a criminal offense, he or she may feel like there are no options. It could feel like you are destined to have your freedom taken away, but that is not always the case. Texas law allows for defendants to fight convictions, even after the trial is over. Appellate courts are an integral part of the judicial system, providing an important check on the legal errors that can occur at the trial court level. If you have been charged with a crime, not only should your attorney be prepared for a criminal trial, he or she should be prepared for any necessary appeals and post-conviction proceedings. If you are convicted of a crime, you have the right to appeal the conviction. The criminal appeal attorneys at Goldstein, Goldstein, Hilley & Orr work hard to prepare a safety net in case you receive an unfavorable pretrial ruling or if you are convicted of a crime after trial. If there are any trial court actions or decisions that can be appealed or challenged, we stand prepared to do so and present our arguments to a higher court. If you have been convicted of a crime, you need an experienced appeals lawyer on your side. 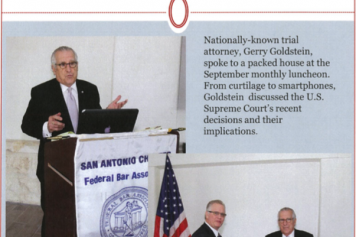 The attorneys at Goldstein, Goldstein, Hilley & Orr represent clients in the San Antonio area and throughout Texas. Contact us at (210) 226-1463 for a free initial phone consultation with one of our experienced attorneys. After a person loses a criminal trial, he or she could be confused about the next step. There likely will be a sentencing and then you will begin serving your punishment for the crime. However, even after you are convicted of a crime, you still have options. You could fight to over the conviction. You and your attorney could file a Motion for New Trial under the Texas Rule of Appellate Procedure 21. A motion for new trial is a prerequisite to presenting a point of error on appeal only when necessary to adduce facts not in the record, according to the law. A motion for new trial must be filed within 30 days of the day the court imposed the sentence. It must be presented to the court at a hearing within 10 days of being filed. A motion for new trial is filed with the trial court. At Goldstein, Goldstein, Hilley & Orr, our criminal defense attorneys know the procedures for appeals and post-conviction proceedings inside and out. We have extensive experience with brief-writing and oral presentation to appeals courts across the country. We can help you fight for your freedom. Appeals are a very complex area of law. It is not enough that a lower court made an error; criminal defense attorneys need to ensure those errors are preserved in the record so they can be appealed or challenged. We work meticulously to ensure preservation of legal challenges that can be raised on appeal. We also are experienced at arguing issues such as procedural default and the presumption of correctness with regard to prior judicial review. Many people do not realize there are a significant number of issues that arise at a number of points during a criminal trial that can be appealed by defense attorneys all the way up to the U.S Supreme Court. This is true whether your case is in the Texas state courts or the federal courts. Our attorneys have an in-depth understanding of the appeals process that allows us to determine, at each stage, where a case should go next. We are experienced with a variety of appeal and post-conviction writs, including habeas corpus, corum novis and mandamus. Two of the attorneys at Goldstein, Goldstein, Hilley & Orr, Gerald H. Goldstein and Cynthia Eva Hujar Orr, have earned board certification in Criminal Appellate Law. Board certification is awarded by the Texas Board of Legal Specialization. comments by a trial judge that taint the presumption of innocence. Article I, section 12 of the Texas Constitution provides that the writ of habeas corpus “is a writ of right, and shall never be suspended.” Tex. Const., Art. I, § 12. That constitutional provision also charges the legislature with enacting “laws to render the remedy speedy and effectual.” Id. Article 11.05 of the Code of Criminal Procedure recognizes the authority of the Texas Court of Criminal Appeals, the district courts, the county courts, and any judges of these courts to issue the writ of habeas corpus “under the rules prescribed by law.” Tex. Code Crim. Proc. Ann. art. 11.05. Chapter 11 of the Code of Criminal Procedure contains some provisions that apply in general to habeas proceedings, and it also contains a few sections that detail procedures to be used for relief from particular types of judgments, orders, or proceedings under certain circumstances. See generally Tex. Code Crim. Proc. Ann. arts. 11.01–11.04, 11.07–11.65. Texas Court of Criminal Appeals – The Court of Criminal Appeals is Texas’ highest court for criminal cases. The Court consists of a presiding Jjudge and eight judges. They are elected by the voters of the entire state, and they hold their offices for terms of six years. 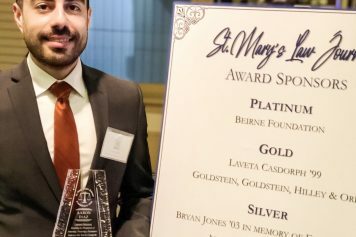 Texas Board of Legal Specialization (TBLS) – This organization awards Board Certification to attorneys who have demonstrated substantial, relevant experience in criminal appellate law. It also means the attorney has demonstrated special competence in that area of law. Texas Code of Criminal Procedure – This link explains when and how a state or a defendant may appeal a criminal conviction. This is explained in Chapter 44 of the Texas Criminal Code of Procedure. From the very beginning of your criminal defense, your lawyers should be prepared for the possibility that you will need to appeal adverse rulings. The attorneys at Goldstein, Goldstein, Hilley & Orr have years of experience defending clients in appellate cases. We represent clients in state and federal court, and we fight for the best possible outcome. Call (210) 226-1463 for a free consultation.